In just a few weeks Mrs Claus’ Kitchen will start at Bedford Centre in Bedfordview. For the 3rd consecutive year, my team and I will entertain kids while Moms, nanny’s or grandparents can go for a cup of coffee or do some shopping. 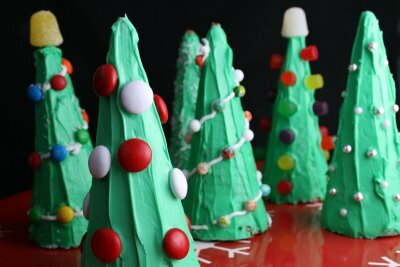 The kids will make a different Christmas-themed treat on each of the 15 days – from reindeer, to snowmen to Christmas trees! Be sure to pop by – the kids love it! See photo’s of Mrs Claus’ Kitchen 2013 and Mrs Claus’ Kitchen 2014. Dates: Thursday 10 December to Thursday 24 December 2015 – 15 days in total! Our sponsors are: Fournos Bakery, Hermes Cones, Kenwood, Linda’s Bake & Pack, Pick ‘n Pay and Woolworths Food.